I always get great service. Everyone from sales to service knows my name. I am treated very well. Their service department is one of the best I have ever done business with. Overall we had a great sales experience. The dealership matched the price we wanted on the vehicle purchase. The only negative was a disconnect between front office and back office - names wrong, duration to get the deal done notwithstanding the excellent credit score. In addition another customer “jumped” the line which added to the delay. This could have been handled better. There’s simply nowhere else I could see myself making an auto purchase! 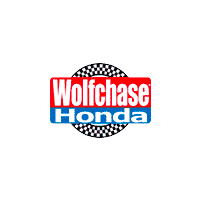 The team at Wolfchase Honda is consistently knowledgeable, respectful of my time, and willing to go the extra mile to make what is usually a hectic and less than pleasant car buying experience a seamless and remarkably enjoyable process. This dealership was excellent to work with. The entire team had excellent customer service. I had a problem with my insurance agency and Bill Thomas worked with me to resolve the issue. The upselling of extras was not forced at all. Buying a new car from Wolfchase Honda was a great experience.